This is a fully subsidized, no obligation roof inspection. Normally a $1,500 value, we are offering to first time customers at no cost and with no commitment. Rooftop equipment such as HVAC units, exhaust fans, etc. After the full inspection is complete, you will be provided with a detailed report including digital photos breaking down the overall health of your roof. Identifying potential issues before they happen is the best way to save you money, keep your operations running and minimize downtime. Whether you’re looking to upgrade, start a preventative maintenance program, or just have peace of mind knowing your roof is in good standing, it all starts with the inspection. As we always tell our clients, “be in a position to act, not react”. Fill out the form or call us to book your FREE* roof inspection today! 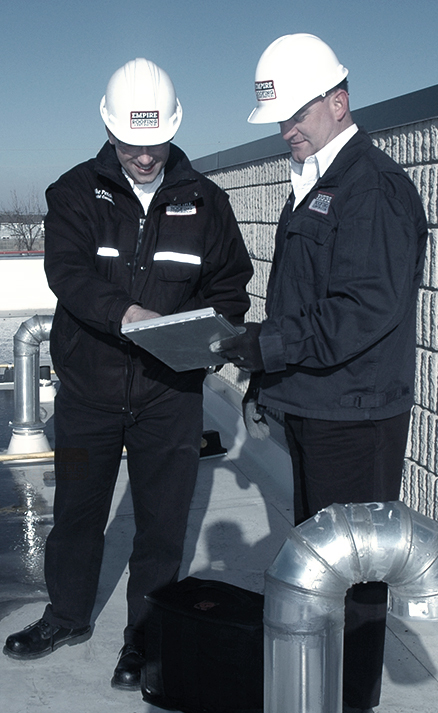 *This free 100 point roof inspection applies only to first-time customers of industrial or commercial buildings. This offer does not apply to any residential roofs or residential or commercial insurance claims. Valid in Canada only.